The Republic of Trinidad and Tobago is located in the Lesser Antilles and just off the northeastern coast of Venezuela. Trinidad, the gateway to Tobago, is a bustling industrial island. When the locals want to get away from it all, they head to the neighboring island of Tobago. Trinidad is the larger of the two and more populous of the islands with numerous land-forms that make up the island Republic. The scuba diving in Tobago is concentrated mostly in the northeast portion of the island. Tobago’s scuba diving is a mix of gentle and heart thumping drift dives. The underwater visibility regularly reaches 100 plus feet with 80-100 feet being the norm. Healthy coral reefs and great visibility make Tobago an unspoiled divers dream. With a land mass of 116 square miles (26 miles long & 10 miles wide), Tobago is a nature lovers paradise. Lush green hillsides are bathed in sunlight and cooled by the sea. 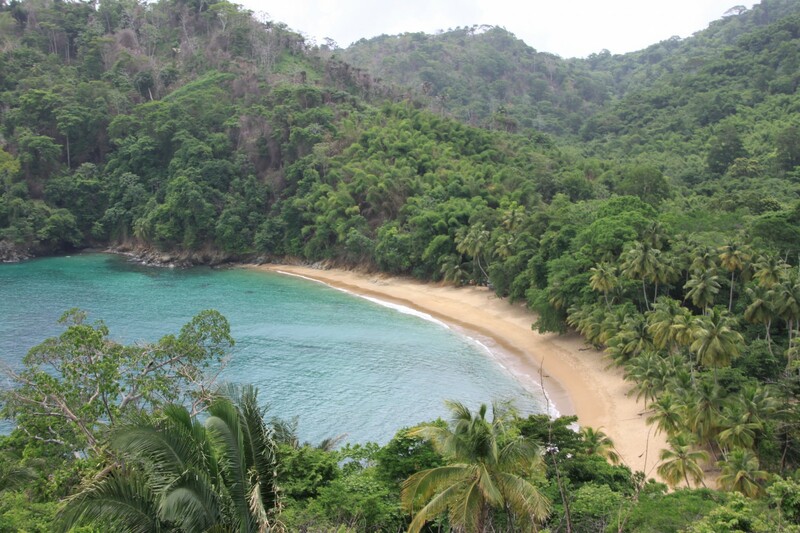 Tobago is primarily a mountainous island and home to the oldest protected rainforest in the Western Hemisphere. The Main Ridge Ridge Forest Reserve is spread over the islands mountainous spine and provides visitors with numerous hiking trails and other outdoor activities.